Each of these categories is further designated for implantation in either the anterior or posterior chamber of the anterior segment of the eye. The basic phakic IOL requirements apply to all the types. Additional requirements apply to PMIOL and PTIOL designs. 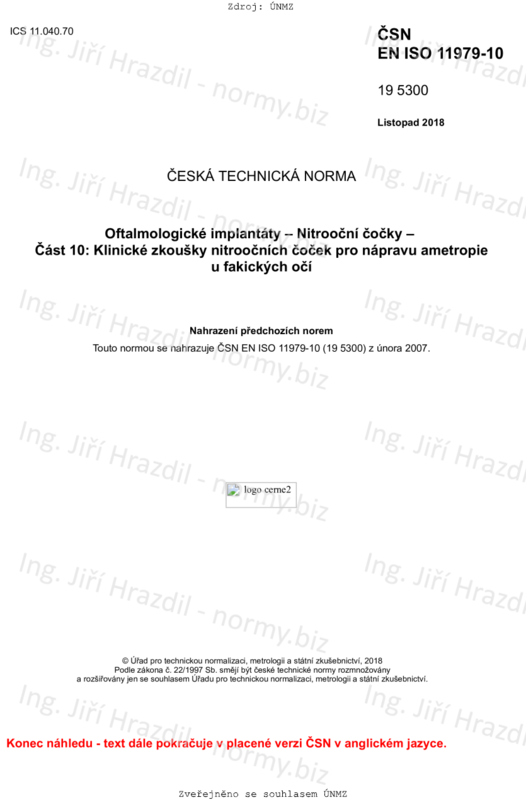 This document addresses specific clinical requirements for phakic IOLs that are not addressed in the other parts of ISO 11979.